Like many of you, I have found myself heavy with grief multiple times in the past week as I followed the news. Its not the first time I've been mopping my eyes with a tissue as events have left me reeling. The world asks where is God? We cling to the hope laid up for us in heaven. As writers, we long to comfort those God has put in our paths, but sometimes words elude us. Social media is noisy and drowns out the sorrowed world with the plethora of opinions and half-baked solutions. Sometimes silence is the "perfected herald" as the bard says. Yet story can be a balm to an open wound, more than just a Band-Aid but provide a source of calm healing. "Someday you'll be old enough to read fairy tales again" says C.S. Lewis. Through story we remember that heroes exist. That nobility isn't just a name for royalty. After escaping wartime London, we watch Lucy and her siblings arrive at a gray country house owned by a stodgy aunt and find the magic within an ordinary wardrobe that unlocks a new world. What ordinary treasures could we be missing even amidst our own trials? Can fear and terror give way to wonder in our own lives, just as it does for Lucy in The Lion, The Witch and the Wardrobe? Stories give words that heal even when we doubt words can make any difference. Fiction filled with truth can be like a tight hug of comfort in tough times. Frodo despairs and tells Gandalf he wishes the ring of power had never come to him. Likewise, earlier, Bilbo in The Hobbit let us know it can be a dangerous business going out our front door. Without the security of a loving creator, Without the truth that sets us free embedded in our hearts, it is easy to get caught up in a million anxieties. We don't wish to see hard times. Ephesians 6 tells us to take up the full armor of God. God calls us to stand firm. Like Frodo with his ring, we are called to guard the stewardship entrusted to us, the Gospel. Many dangers and snares await, until we are called home. We may not wish to go out our front door, but we are called to lives of action while we wait for our heavenly hope. Happily ever after is only the beginning. Hope-filled fiction is only a prequel. As believers in Christ, we have an eternity with our creator to await. Our heart yearns to see closure of a book, so we keep reading. We are giving our readers hope and we desire that they crave a closer relationship with their Father. As we long for heaven, fiction can provide a mini retreat in the midst of our own challenging lives. That doesn't mean we keep our fiction clear of conflict, on the contrary, beauty is intensified through contrast. -Pursue hope yourself. The most important way to grow your fiction spiritually is through your own journey. Stay strong in the word. Keep time meditating on His promises and precepts as a formative part of your day. Ask his purposes for your writing life as you sit at the keyboard. As you live in obedience to his calling for you, growth happens and that will overflow into your writing. -Don't neglect contrast in your stories. The darker and uglier the black moment, the more light-filled the HEA ending will be. Kick it up a notch, then again and again. Make your character squirm. Because all of us need to be uncomfortable in order to grow the most. So do our heroes and heroines. -Make sure your HEA gives people true hope. The spiritual thread needs to be as strong as the romantic thread of the story. As much as readers sigh at the beautiful journey of the main hero and heroine who go through insurmountable odds, they also should be awed and amazed at the depth of love shown by a Savior on a cross at Calvary. Story itself brings wonder at the great Gospel of a God who pursues us in a way that puts any hero to shame. 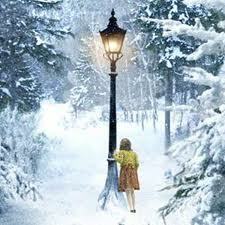 True hope wasn't found in Narnia itself or the wardrobe which led to hidden treasures. Instead it was found in Aslan, the creator and sustainer of the worlds. Our true hope is only found in Jesus, our words can point a hurting world to the healer of their hearts. We worship the God of all mystery, who knows the end from the beginning. Every fantasy holds its ultimate fulfillment in the promise of heaven and Jesus who is the source of all joy and beauty. The lover of our souls, Jesus holds the future and the past in his hands, and pursues us with an intense passion. God is the ultimate storyteller. Even in times such as these He can use story to bring hope to his people. Julia is a Northern transplant, living in central Virginia with her husband and two children. 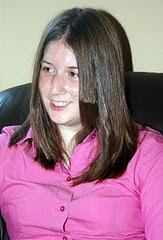 She is owned by three ragdoll cats and enjoys writing for LIBRARY JOURNAL and the blog WONDERFULLY WOVEN. Julia, you nailed why I write. We need hope in a world that saps it from us. Beautiful post! This completely sums up my reason for writing: To offer hope and portray God's healing love in the midst of a broken world. To illustrate the redemption of grace. Stories are powerful, and when we use the power of words to offer light to a dark world, our books can become life-changing. But only if they're drenched in His Spirit. And you're right--the horrible news recently has motivated me even more to write stories that reflect the Ultimate Happy Ending. ANGIE, Thank you. And thank you for stopping by today. We all need the hope Jesus provides. CARA, Yes, I definitely sense that in your fiction and in your heart :). TESSA, Beautifully said, the power of words offers a light even when words seem insufficient. So glad instead of absorbing the ugliness of the world, you are attempting to show forth His glory in your writing. Hi Julia: I second every word that Tessa offered. Not only were your points 'spot on' but your writing style enticed me to read through your post at lightning speed. Instead of the phrase, 'couldn't put it down', I guess I'd have to say, 'couldn't stop reading'. As Tessa stated, this post is a 'keeper'. Thanks for writing such an exquisite inspiration piece. These are indeed very, very sorrowful times!